Secretary of State condemns firing of three ballistic missiles by North Korea, but says U.S. will continue to seek a peaceful resolution. 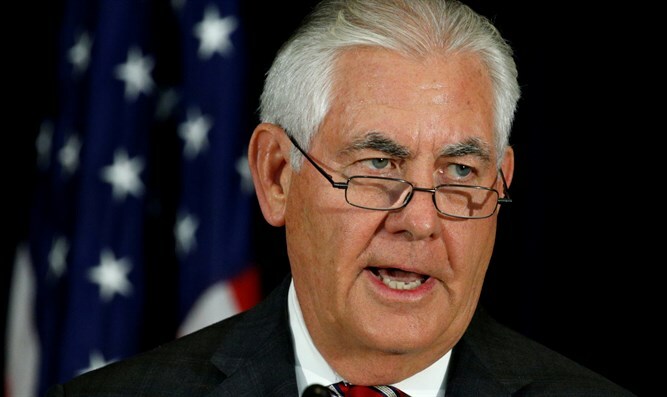 U.S. Secretary of State Rex Tillerson said on Sunday the firing of three ballistic missiles by North Korea this week was a provocative act but stressed the United States will continue to seek a peaceful resolution. “We do view it as a provocative act against the United States and our allies,” Tillerson told Fox News. “We’re going to continue our peaceful pressure campaign as I have described it, working with allies, working with China as well to see if we can bring the regime in Pyongyang to the negotiating table,” he added. North Korea fired three short-range ballistic missiles on Saturday morning. The U.S. Pacific Command said two of the missiles flew 250 kilometers (155 miles) while the other appeared to have blown up immediately. Pyongyang's latest missile test came just days after Tillerson welcomed North Korea’s recent “restraint”, adding talks with Pyongyang may be possible "in the near future".